Who wants to learn calligraphy when your brush is meant for so much more? 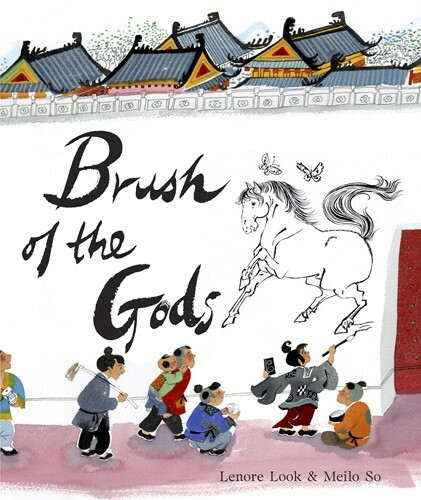 Wu Daozi (689-758), known as China's greatest painter and alive during the T'ang Dynasty, is the subject of this stunning picture book. When an old monk attempts to teach young Daozi about the ancient art of calligraphy, his brush doesn't want to cooperate. Instead of characters, Daozi's brush drips dancing peonies and flying Buddhas! Soon others are admiring his unbelievable creations on walls around the city, and one day his art comes to life! Little has been written about Daozi, but Look and So masterfully introduce the artist to children.